Experience the Real Japan, and learn about the world! Surrounded by the beautiful nature of northern Japan, Akita International University, AIU, is a window to the world. Unique in Japan for offering an International Liberal Arts education entirely in English, we are on the cutting edge of Japanese higher education. AIU has many Partner Institutions around the world. Through exchanges with these schools, we expand our students' intercultural horizons. All of our undergraduate stuents spend a year studying abroad, and about a quarter of our student body is made up of international exchange students (182 students from 28 countries, as of Fall 2018). This truly international academic community, combined with state-of-the-art facilities, a diverse faculty with over half of our faculty hailing from overseas, and innovative programs, makes it an ideal place to study. 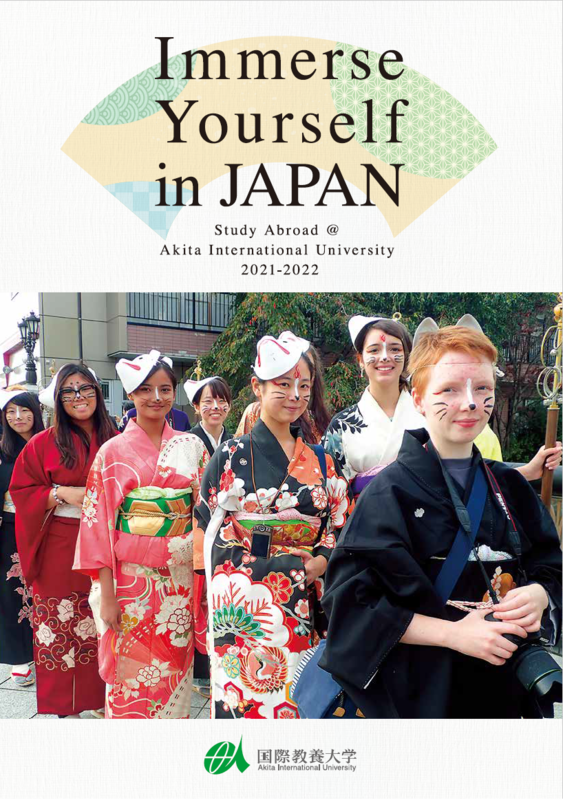 Come to AIU and experience Japan for a summer, a semester, a year, or four years, as you build the knowledge and skills vital to succeed in the global society! 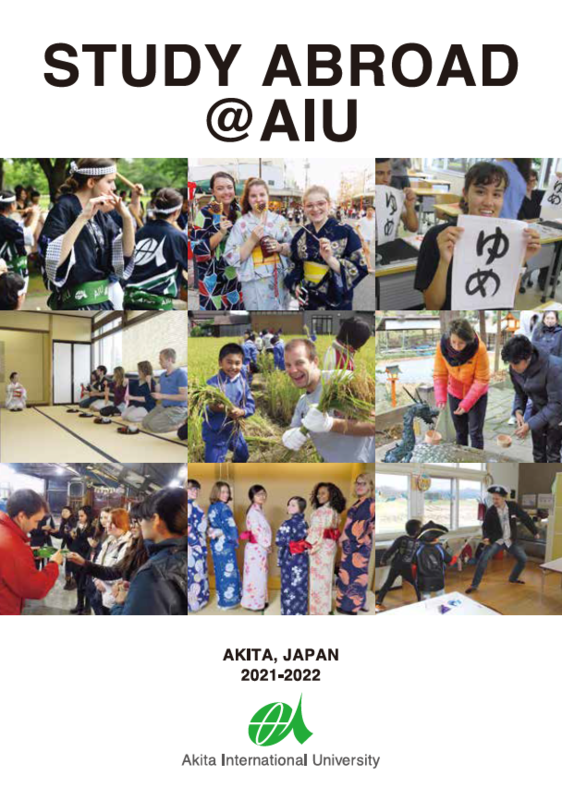 Click Here to download the new 2018 AIU Leaflet (1.3 MB) for an overview of the exchange program at AIU!